So, what can you do if you feel stuck & want to move on? Call the Stovall Team today and don’t give up! If you are looking to move-up to an existing luxury home, there are deals to be had in our local market. 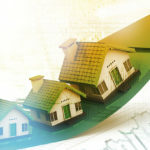 Do you know what your house is worth? Have you stayed put because you are nervous you won’t have enough equity to buy your dream home? Meet with the Stovall Team and we will perform an equity analysis and give you the freedom to achieve your dreams.